My mother, Anna (Kyrani) Anastasopoulos arrived in Australia in April 1956 aged 18. She was a bridesmaid at the wedding of Theo & Anna Kepreotes where my dad, Stephen, spotted her and asked her to dance. She kept saying no but he persisted and she finally relented and the rest, as they say, is history. 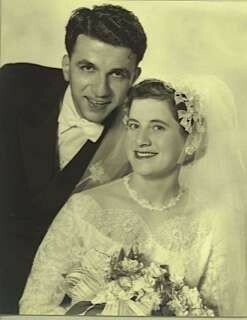 They were married at Agia Triada Church on November 19, 1956.